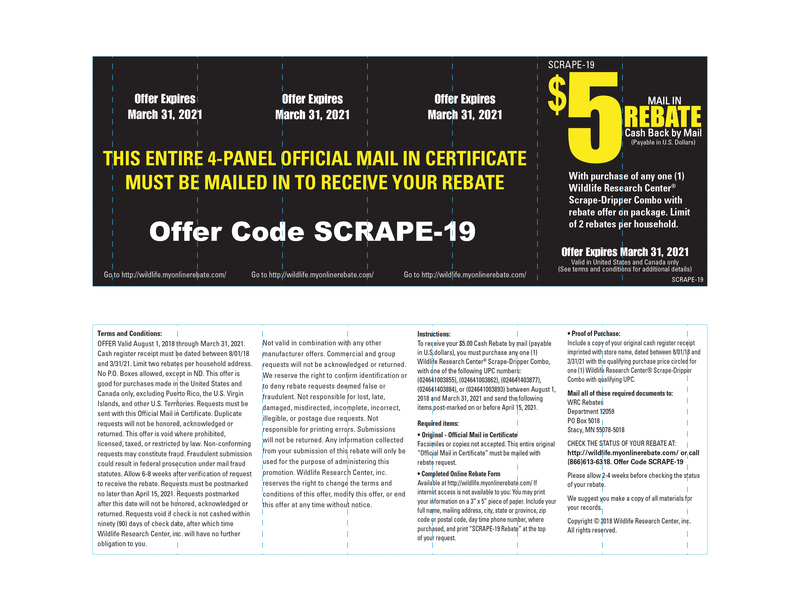 The smart way to keep scrapes fresh and working. 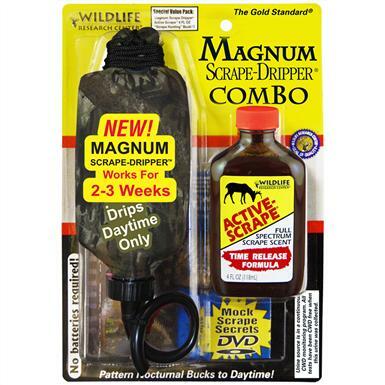 The Magnum Scrape-DripperTM is an effective, key ingredient for your next successful hunt. Cleverly designed to drip only during the day, it operates for up to 2 to 3 weeks under normal conditions on a single 4-oz. bottle of Active-Scrape® scent. It'll even shut down during rain and bad weather to save the valuable scent. The dispenser gradually intensifies the output to get bucks even more riled up! No batteries required. Hangs with ease from tree limbs. Also includes and "Mock Scrape Secrets" DVD. 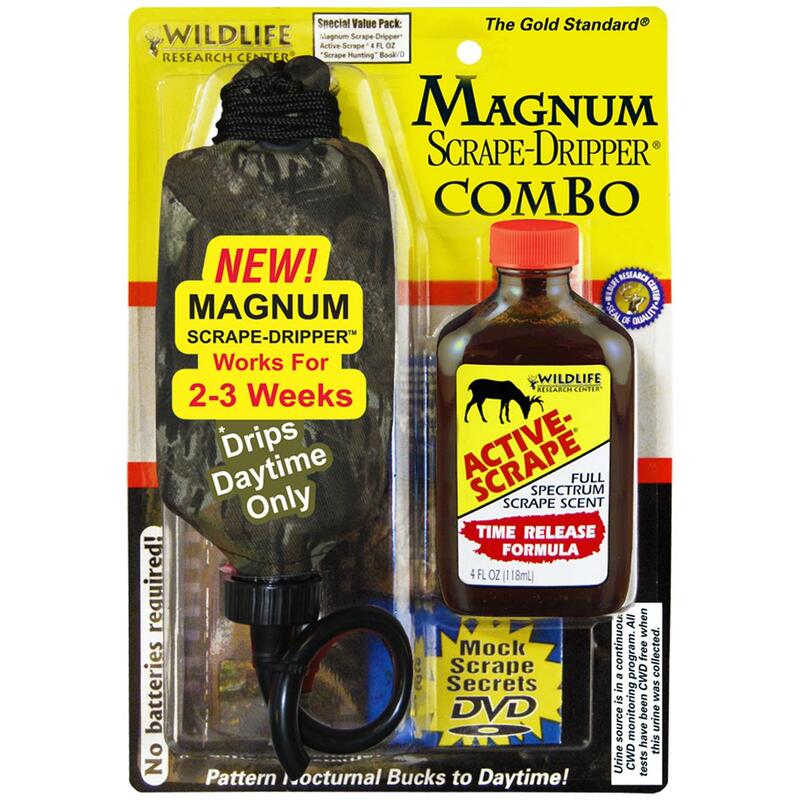 Wildlife Research Center Magnum Scrape-Dripper/Active Scrape Combo is rated 4.9 out of 5 by 7. Rated 5 out of 5 by Chris from Good price can't wait to try out this season Ordered and received promptly!!!! !Thanks again Sportsman Guide!!!!! Rated 5 out of 5 by RICKY from I will see in one week to the results! Rated 5 out of 5 by WILLIAM from I have used the ultimate dripper before and wanted to get this magnum dripper because it holds alot more scent. Good roduct and good deal. Rated 4 out of 5 by STACY from Appears to work well. Rated 5 out of 5 by THOMAS G from I will use this when the rut begins. Rated 5 out of 5 by THOMAS G from Perfect! I ordered two to hunt long distance on my day off and close by when I get off work.